One of the things I’ve become increasingly passionate about in recent years is the topic of women’s confidence. All too often in both my professional and personal worlds I see women suffering due to a lack of confidence. This lack of self assurance might see them holding themselves back from going for new jobs because they don’t have every single skill listed in the position description. Or they may not strike up a conversation with a stranger due to the fact that they feel like they have nothing interesting to say. It could see them staying in relationships well past their use-by date in fear that they’ll never find someone else. Or, sadly, it will potentially stop them from booking that dream trip to Paris because they don’t speak the language. Let’s face it – this lack of confidence shows up in a myriad of ways, all of which can prevent women from living their best lives. 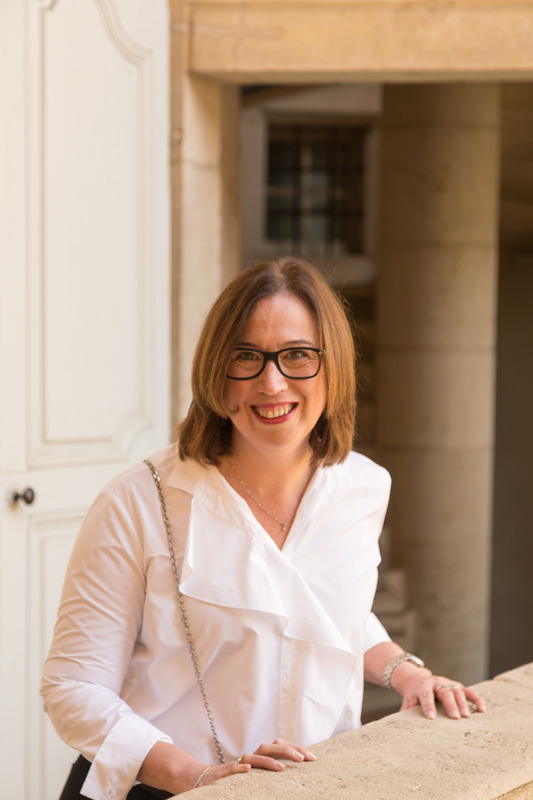 Personally I’ve been looking to support others on their confidence journey through style – which became so important to me after visiting France many times. I am a firm believer that when women feel good about how they look, they are more likely to take on the bigger issues in their lives. However, there are a great many ways for women to start down the road to growing confidence. But I have a secret to share about confidence building. You see, confidence doesn’t come from training, or a course, or from reading a book. Both women and men build confidence through experience. They develop it with practice. It comes with the knowledge of ‘I can do this’, or ‘I have done this before’. Which means you can’t just hope you are going to one day wake up feeling like the time is right to chase your dream. No, it’s highly likely that you are going to need take action. Yep, sometimes you just have to start somewhere. Here are five actions designed to help you develop your confidence. Manage the stories you tell yourself. You may not realise it, but we all tell ourselves stories. All. Of. The. Time. Some of these little messages can be fabulous. Others – not so much. If you suddenly realise that some of the things you tell yourself may not be supporting your confidence, then the best thing to do is take a variant of Byron Katie’s work and start to question just how true the story is. For instance, you might tell yourself a story that everyone is always dressed more appropriately and stylishly than you. When you delve into the truth of that thought, there is a very good chance that this is not actually the case – there will absolutely be times when you will be dressed both stylishly and appropriately. If your particular story isn’t based in fact, and you identify that it is holding you back, it’s time to replace the story with something more confidence affirming. Do little things that work to build your self assurance and move you towards your goals – and do them regularly. Because there is one thing that I’m certain about. Confidence comes in baby steps. For example, if you want to start a blog but you are struggling with visibility, you might choose to start by posting photos on Instagram, eventually turning your captions into mini-stories. From there, it is only small step to starting a blog. Alternatively, if travel is on your agenda, perhaps you could start with a weekend away. Then you might choose to book a week long interstate trip. These smaller jaunts will get you into the rhythm of travel and help you to realise that your international dream. Start keeping track of the positive experiences, the things that have gone right and the stuff you do well. Most of us are programmed to focus on the bad stuff that happens. Or all of our perceived negatives. And as a rule we skim over all the great things we can do in our lives. Keeping a journal – or even just a list – of all of the things you do well not only programs your mind to concentrate on the positives, it can also give you a timely boost when your confidence gets shaky (which, by the way, happens to everyone at different times). Surround yourself with positive people who are doing the things you want to do. Join a club or a mastermind group. Spend time either in person or virtually with individuals who are a few steps ahead of you. Start modelling their behaviours and beliefs. Sometimes just knowing that someone else has done something can give you a sense of comfort and, in doing so, support your levels of assurance. Hire a coach. No one ever said that you have to do everything on your own. Depending on what you want to achieve, you might go for a generalist coach such as a life coach or a career coach or someone who specialises like a writing or Style CoachTM. A coach can hold you accountable while you practice and develop your skills, and ultimately confidence. I’m so grateful to my own coach who has been instrumental in helping me to build confidence in all areas of my life. What strategies do you use to help build confidence? I’d love for you to help everyone out by sharing your best tips in the comments section below. P.S. If you feel like you could do with a boost in the style confidence department, then I might be the coach for you. You can find out more about Style CoachingTM here.